Uveitis affects around 30-40% of people with axial SpA (AS). 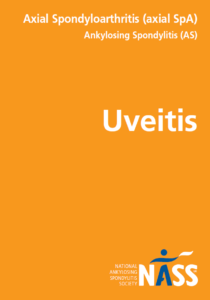 This guide explains the signs and symptoms of uveitis. The guide explains what to do if you develop uveitis and how it should be treated.